Every year in Ireland, several hundred hectares of forests and woodland are destroyed by fire. The highest risk period occurs between February and June, when ground vegetation is dead and dry following winter. For this reason the danger can be extremely high even when it has rained recently. There are some simple, cost effective steps that forest owners can take to reduce the risk of fire damage to plantations. Fire Plans should be developed for all plantations, including a map showing access and assembly points for fire fighting personnel and equipment and potential sources of water. The plan should also include contact details for the emergency services, local private and Coillte foresters, neighbouring landowners and forest owners in order to summon help should the need arise. Have fire-fighting tools such as beaters and knapsack sprayers to hand and ready to use. If you do not live in reasonable proximity to your woodland a local caretaker or forest neighbour should also have a copy of the fire plan with your and all the above contact numbers. Forest crops should be insured against losses by fire, particularly as there is no longer a grant scheme which covers the cost of replanting or reconstituting a woodland after fire. In the event of a fire destroying a forest area, the owner would have to replant this area at his/her own cost or face repaying all past grants/premiums for this area to Forest Service. It is the owners' responsibility to ensure that Fire Breaks surrounding plantations are inspected annually prior to the fire season and maintained in an effective, vegetation free condition. Ideally Fire Breaks should be at least 6 metres wide. Cooperation between neighbouring landowners is vital to successful fire prevention. Forest Owners should be particularly vigilant following prolonged dry spells. A period of 24 hours is sufficient to dry out dead moorland vegetation following rain, where windy conditions exist. Where fire is seen in or within the general proximity of any forest area the local Garda and your local private and Coillte foresters should be notified. 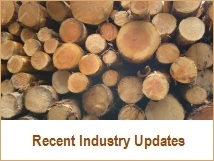 For the contact number of private forestry consultants and companies see the Online Directory. For the contact number of your local Coillte forester phone Coillte at 01 2011111. It is a legal offence to cut, grub, burn or otherwise destroy any vegetation growing on any land not then cultivated between 1st day of March and 31st day of August in any year. 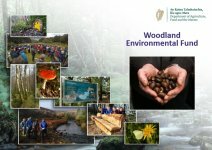 If a plantation is destroyed or damaged by fire, the incident should be reported to the nearest Garda Station, your local Coillte or private forester and to the Forest Service. Met Éireann produces a Fire Weather Index, using a Canadian Model, which assesses the fire risk in an area taking into account current and past weather conditions. It also uses forecast weather information to produce a forecast index for five days ahead. This Fire Index is of particular interest to forest owners. Copyright © 2019 Forestry Directory & Portal - Irish Forest & Timber Industry. All Rights Reserved.